Born on September 4th 1951 in Shizuoka-city JAPAN. After leaving his job with an Interior, Display, and Design Compilation Company, he established the CI center Inc. in 1991. By identifying design and culture as the most important resources in the management of businesses for the 21st century, he set out to consult and work with various enterprises, associations, shopping centers, and local governing bodies in order to revitalize local economy. 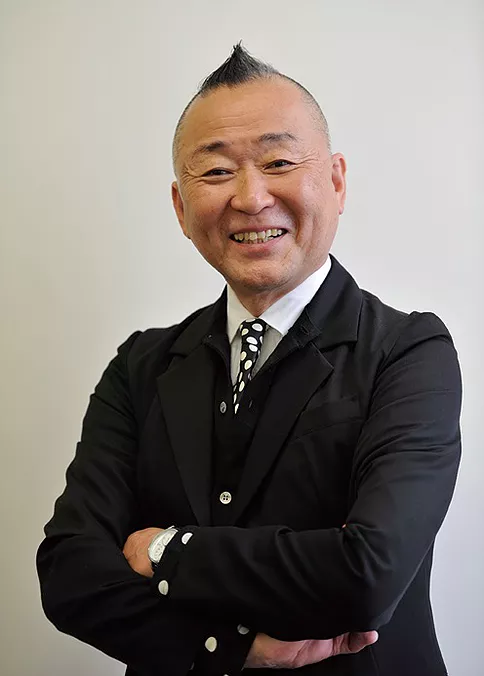 He is the founder of the first Daidogei World Cup in Shizuoka back in 1992, and is still presently working as the producer of this annual event. Utilizing CI (Corporate Identity) strategies, communication design, product development, business development, space production, and event production, he established the Social Design Institute in 2009 in order to solve problems within community and society from a design stand point. 2016 Director of the Asian Performing Arts Market (APAMS) held in Setouchi Triennale 2016.